Google chrome for Mac OS X and linux OS have been into development since more than a year now, and still into preview builds and no beta version has been released. Many news about the download of Google chrome for mac have been coming out but most of them being non-official but now there is a Dev channel for Mac available. The download file was 14.4 MB which is normally a big size, but for Mac its normal. But after the mounting, the application was 44 MB in size, which is too much and too heavy when compared to Firefox, not for Safari though. 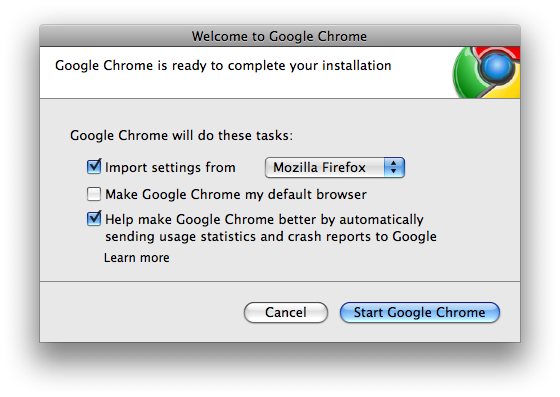 But when i started Chrome and Firefox together and used 4 tabs in each, Chrome ate too less memory than Firefox. Some similarity to what we see in Windows too. In Windows, importing bookmarks to chrome was different, and here you can import the bookmarks from other browsers into Chrome during the installation itself. The theme of chrome, boxes in the new tab and all the stuff is just the same as in Windows and no difference can be seen. 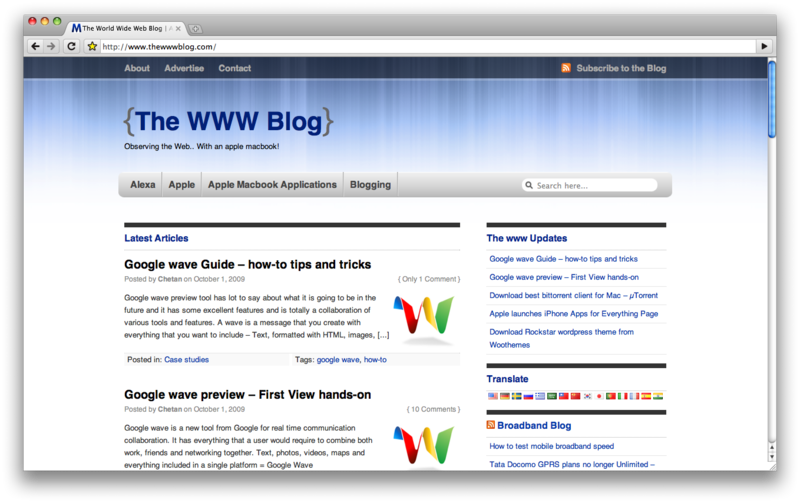 Its a speed loading, with the Omnibox working perfectly for the URL suggestions etc. and search in google with the keyword entered without any special search bar needed. 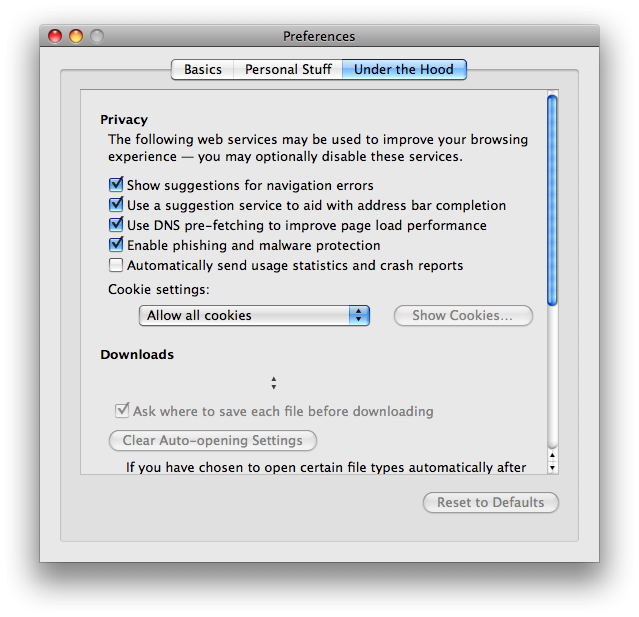 The personal settings for Google chrome can be setup, some of which are saving the passwords, save form filling data, clearing the browsing data and setting up of themes. 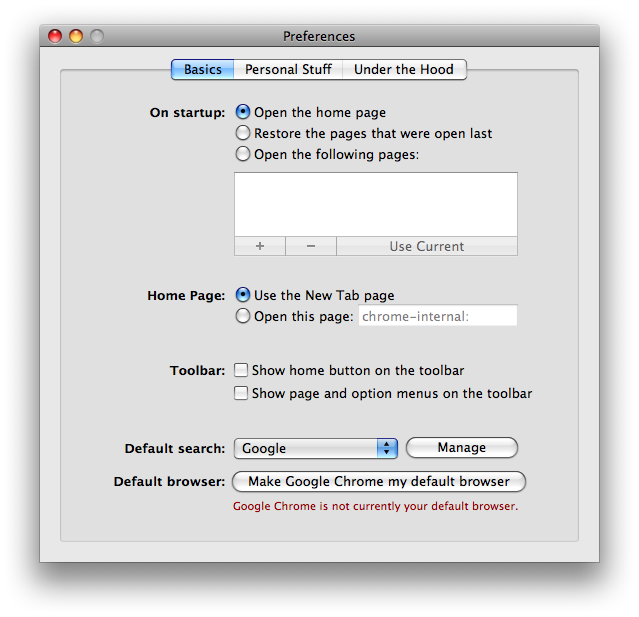 Themes can be downloaded and setup, and if you wish to restore back to the normal default theme of Chrome, you can do that from the personal settings section.